We are TRAVEL PLANNERS -not travel agents nor tour operators. We help visitors to Barcelona and Catalonia to plan their visit: what to do, where to go and how to get the most out of your trip. We are passionate locals that know our stuff! Our service targets the traveler that's self-organizing his trip. We do not do tours, nor bookings or reservations -we leave that to you or your travel agent. See us as your personal (and unbiased) consultant that will help you to create a memorable experience. We use a very easy 4 steps process that allows us to get to know a bit of you, your tastes and expectations. From there we propose an itinerary with activities and visits for your consideration. When you're satisfied with our proposal, we then prepare a fully tailorized pocket guide that will help you to organize your trip, much like if you were a local: where and what to book (if applicable), how to get from one activity/attraction to the next, what to look for... in short your very own personalized travel book. And all this for an unbelievable price! 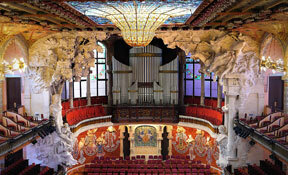 Your travel PLANNERS to Barcelona and Catalonia! 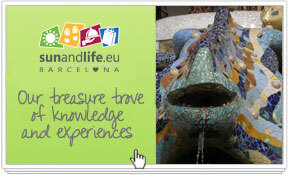 Our team has plenty of ideas for activities you could be doing when traveling to Barcelona and Catalonia. Whether you’re visiting with your love one, the family or a group of friends; whether you are active and outgoing or prefer a more relaxed vacation; whether you are into art, culture, architecture… or if you simply like to go with the flow: trust us for a great vacation and a memorable experience. As your personal Travel Planners we will present you a proposal with a tailored itinerary based on your tastes and preferences –as expressed in your online questionnaire— so you only have to book the activities at your convenience. The history of Catalonia began around 900 AD, when Wilfred the Hairy broke away from the Frankish kings and gave way to the origin of the House of Barcelona. Since then, it has had a spotty history, from a maritime empire to having foreign kings pumping cannonballs over its capital. But the tenacity of Catalans has proven resilient and it has once more emerged during the last century to become a reference point in Europe. 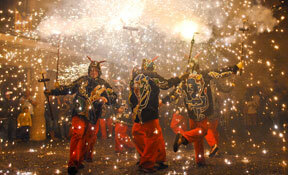 Catalan culture has developed its own unique and universal identity over the centuries. The innovative flair, creativity, capacity to absorb different influences, co-existence and tolerance values have shaped a culture that is both national and cosmopolitan. Catalonia has a significant number of UNESCO World Heritage distinctions which reflect the passion in which Catalans embrace their culture and identity. For those who enjoy visiting food markets, walking old quarters, entering small artisan shops, sampling local delicatessen or wines and sitting in an outdoor café discussing local lifestyle with a resident, our team has a ton of ideas that will help you to plan your visit and make it a memorable one. Get our local knowledge to living and experiencing like-a-local. We believe the best times of all are shared over a great bottle of wine and delicious regional food. Our food and wines are one of the highest qualities that can be found in Europe, as Catalonia has become a world leader in gastronomy. Our secret is in the quality and uniqueness of the products used, plus the combination of what is offered by the land and the sea. In addition to its many restaurants of all kinds, Catalonia has a network of public markets where product quality is paramount. More than half of travelers visiting Catalonia are families. Catalonia is a warm and welcoming Mediterranean country and the notion of family has a deep-rooted importance in our culture. There are lots of activities that you can do with your family: from hiking into breathtaking forests and mountains, to fun beach days in the picturesque coastal towns, to experiencing a Festa Major -the most important festival of each town/city in which tradition, folk and entertainment merge. 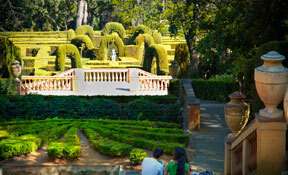 If you want to ensure a romantic honeymoon, Catalonia is your destination. Spend your time walking hand in hand on one of the many beautiful beaches, wander through historic cities and forget about the time in beautiful parks. 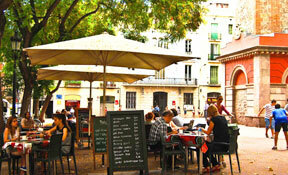 Catalonia’s good climate gives you the opportunity to spend the loveliest honeymoon together at any time of the year. Enjoy precious moments with the one that you love and make your dream of the perfect honeymoon come true! Archaeological findings point to evidence of a Jewish community in Catalonia as early as Roman times, though the first document referring to Jews in Barcelona itself is from the 10th Century. By the 14th Century, its main cities Barcelona and Girona were a vibrant multicultural mix of Jews, Christians, Arab traders, and immigrants from all over the Mediterranean. 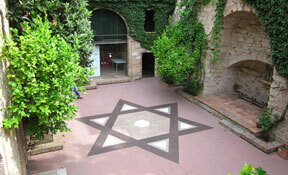 We invite you to discover the footprints left by the Jews of Catalonia. 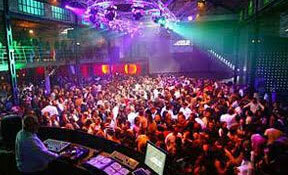 Barcelona’s nightlife scene has something for everyone who love live music. The vibrant culture provides this city with the perfect atmosphere to kick back and enjoy some mellow tunes or bust some moves to an enthusiastic DJ. 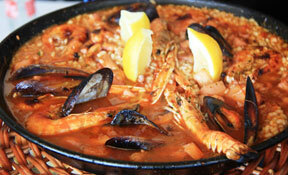 You’ll soon discover that Catalans eat late, drink late and go out very late. Beach, sun, music, great food and plenty of other cultural offers, what more can you ask for? We tailor our recommendations to each and every client because we feel the experience has to be unique to each visitor. That’s why we gather your tastes and preferences in an online questionnaire BEFORE we submit our proposals. With us, is like having your own personal consultant who can advice you on the best way to get the most of your vacation in Barcelona and Catalonia. Try us, you won’t be disappointed! We are TRAVEL PLANNERS -not travel agents nor tour operators. We help visitors to Barcelona and Catalonia to plan their visit: what to do, where to go and how to get the most out of your trip. We are passionate locals that know our stuff! See us as your personal (and unbiased) consultants that will help you to create a memorable experience. Browse some beautiful images of Catalonia. We're almost there... thanks for waiting. We'll be up in the air next week.